Isaac Wright was my grandfather's brother. He served in the 1st Infantry Division in Tunisia, Sicily, and Normandy, France. He was awarded the Bronze Star medal and the Purple Heart. 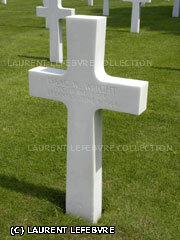 He died of wounds received in action on June 6, 1944 on Easy Red, Omaha Beach.